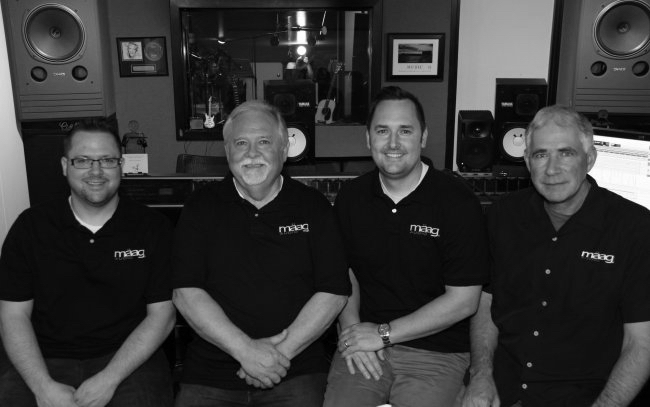 Cliff Maag Sr is the owner and designer of Maag Audio, a small boutique family-run audio company based in Utah, USA. Cliff designed the highly regarded NTI Nightpro 6-band EQ back in the 1990's which was the first product to feature his 'AIRBAND' EQ. I caught up with Cliff Sr to find out more about how this sound has developed over the years. KMR : Were you always into recording gear or did you start life as a musician? CM : I started as a musician singing in a dance band in the 60s, writing songs and having a desire to capture and record the music. KMR : I know you became a successful Audio Engineer and Mix Engineer, how did this come about, and when did you decide to build/run your own studio? CM : In 1974, I had the chance to go to a recording studio for the first time. What an experience, especially for someone who loves music! I was immediately hooked and soon after built my own studio to so I could create my own music. Every engineer and musician can remember their first studio experience! KMR : You still run the Record Lab Studios, was it the need for certain equipment that got you into designing the original Air Band product? Because of my tight budget, I had to update my console. This is where the "AIRBAND" Mic Pre, EQ, and MAGNUM-K came from. KMR : How did you take that step into equipment design, as it’s quite a bold move from simply using gear to building your own? CM : I learned a lot when I built and wired the studio and I learnt about the circuits in the console by those I hired to service it - so I just went for it! I had a great mic pre to compare to, so I developed my own. I wanted to hear the high end in dynamic and ribbon mics. The "AIRBAND" was born in the mic pre I developed for my custom console as it opened up the AIR in all of my microphones. Then I developed a better EQ for my console and I had to have the "AIRBAND" in it as well. I also modified one channel in the console with a compressor to control only 2.5k in the EQ. I did it for the sole purpose of controlling the edge on female vocals and I called it the "MAGNUM-K". KMR : What was the response when you first the presented the Air Band? I remember hearing about this ‘Air Band’ EQ in the 1990’s when I was beginning as a tape op in the UK. CM : The first time I showed it was in the early 90's and was in Nashville, Tennessee. 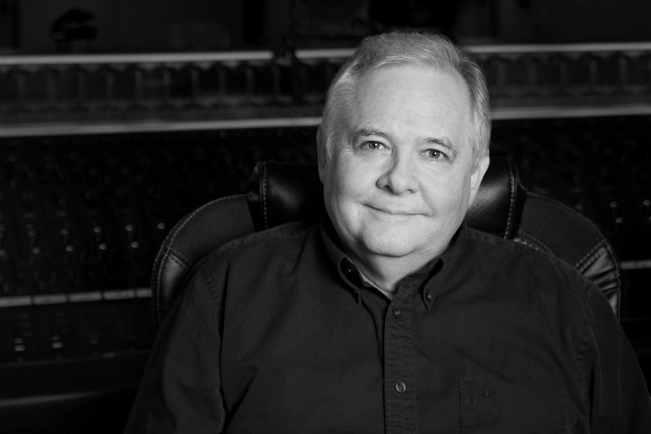 The first to hear it was Producer Ed Seay, Vice President and Producer at Capitol Records in Nashville Paul Worley and Mastering Engineer Denny Purcell. All three endorsed it and wow, what an exciting time for me! KMR : When did you decide to create Maag Audio? CM : We created Maag Audio in 2009 and launched our first product in 2011. KMR : Was the EQ4M to provide a mastering grade option - or to replace those old NTI / NightPro’s that everybody was still searching for? CM : It was to offer a mastering EQ to match or improve the specs and standards of our original NTI Eq3, which I’m convinced we accomplished. KMR : The MAGNUM-K is a new direction for you, even though I've learnt that you created this a long time ago, was putting it into a rack always your idea? CM : I had it in mind since the 1980's and it started with one modified channel compressor EQ in my custom console, designed to take the edge off female vocals. I also built two rack mount multi-band compressors when I modified the console. They are still in service today. As I developed the Maag Audio 500 series gear we gained the learning and understanding required to make the Maag Audio MAGNUM-K come to life. I love this compressor! It has complemented my recordings in such a big way. I couldn’t live without it at this point. 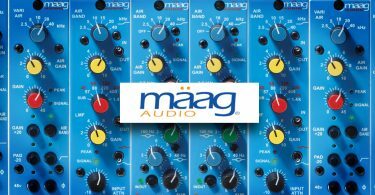 KMR : What has been the biggest challenge in getting Maag Audio off the ground and into the hands of mix engineers and producers? CM : The biggest challenge was deciding to take it on again in the first place. My son Ryan had to hound me to get back into designing and manufacturing audio gear but once I made that leap, I haven’t looked back. It’s been an absolute blast and I have loved the challenge. KMR : What has also been the biggest positive from it all, as I’m sure seeing and hearing your designs in use is such an amazing feeling? CM : For me, the biggest positive is to be working and developing new products with my three partners, my two sons Cliff Jr and Ryan and Travis Allen. It is so humbling to hear the designs in use and to talk to those who use them and depend on the gear like I do. KMR : You partnered with Plug-in Alliance and also UA to provide software versions of the EQ4 and EQ2, do you think this is the model for designers these days, to provide hardware and software versions? CM : It’s been a good model for us. I think it really depends on the type of product and desired end-state. Having hardware and software complement each other has been ideal. Dirk Ulrich at Plugin Alliance modelled both the Plugin Alliance and UAD versions. He is a great partner and friend. CM : We build them all in the USA. It is a family business. There are four of us and we are the four worker bees too. KMR : Last question, and one very hypothetical! If your studio was burning down… what 3 things would you grab and why? CM : I would grab my C12... I love that mic!! Yamaha C7 grand piano... I love that piano!! Hammond B3 and Leslie cabinet... I love that organ!! Although I would need to transform into the Incredible Hulk to make this happen. Obviously all the Maag Audio gear I could hold as well!! !